A native of the Washington DC Metropolitan area, Michon serves as the Strategic Initiatives Program Lead for the Office of Information Technology (OIT) for the Department of Employment Services (DOES). She was instrumental in working with management to redesign, what is now, the agency’s compliance unit. In her role as Strategic Initiative Lead for OIT, she has also been instrumental as one of the IT design architects for the deployment of customer-facing technical solutions within the agency’s American Job Centers (AJC). She has an extensive background in academic instruction; training and development; and project management with government, nonprofit and educational organizations. Michon holds a Bachelor of Arts degree in Speech Communication and a Master of Arts degree in Intercultural Communication–both from Howard University in Washington, DC. She has also completed all coursework and comprehensive exams toward a doctoral degree in Intercultural Communication from Howard University. Michon has over 20 years of education and experience in the fields of human communication and mass media; project management; community relations; and compliance. Michon’s expertise in these areas has allowed her to work in a variety of contexts ranging from academic institutions to law enforcement agencies. Maintaining such a wide range and scope allows her to provide a unique skill set for all organizations. 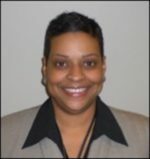 Her professional positions include: Professor at Prince George’s Community College; Community Relations Specialist/Public Affairs at Prince George’s County Department of Corrections; Public Affairs Specialist & Compliance Manager at the DC Department of Corrections; Public Relations/Development at Christian Brothers Conference; and Transportation Security Specialist at the Transportation Security Administration. Michon has used Strategic Doing to train over 700 local government employees and contractors which in turn helped the agency re-define its approach to navigating complex problems and designing a landscape for “attainable and doable” actions that met specific desired outcomes. Jim is Vice President for Economic Development and Community Engagement at APLU. He works closely with member institutions to develop tools and resources to enhance their regional engagement and economic development efforts. He serves as the lead staff member for APLU’s Commission on Innovation, Competitiveness and Economic Prosperity (CICEP), and also the Association’s Council on Engagement and Outreach (CEO), advancing APLU’s economic and community engagement agenda. Jim holds a Ph.D. in higher education from Penn State University. His scholarly interests are in the ways in which public research universities organize for their “fourth mission” of economic engagement. He examines how institutions respond to regional, state, and federal economic and research policy with initiatives in innovation, technology transfer, and economic, community, and workforce development. Prior to joining APLU, Jim served as Assistant Director for Transformative Regional Engagement (TRE) Networks, focused on bringing together business, government, universities, and non-profits for innovation-driven regional development. Previously, he worked in distance education, instructional media, and e-learning for nearly 20 years. 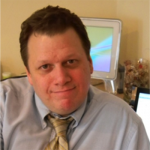 He was a college teacher and administrator for ten years, including managing a large-scale distance learning program for Southern New Hampshire University, and also served as Dean of Academic Technology and Distance Learning at North Shore Community College in Massachusetts.